I made some spirographs to demo and a few sets to give away tonight. Come out and make ice cream, participate in the show and tell, and possibly take away some cool spirographs. I designed this set to demo the math involved which is pretty cool. There is a 53 toothed gear which is prime. 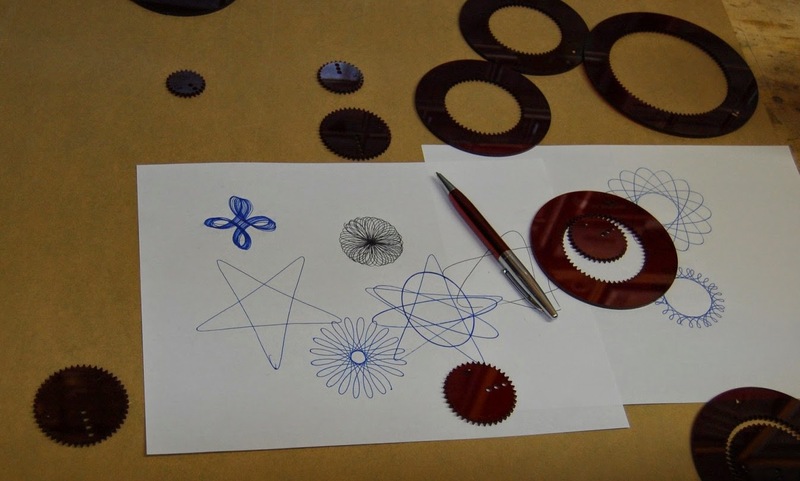 I got the details on making spirographs from safay at Instructibles. You can make your own. Also you can use the Spirogator software by Natalie Freed and Paula Hooper to see spirograph designs and generate files for gears. It's a great way to visually simulate spirograph designs on the computer before you make anything. FYI These are called hypotrochoid which I can't pronounce but you can read more about it on the Wikipedia article.